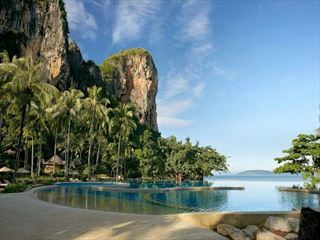 The private villas are the most luxurious accommodation at Rayavadee Krabi, one of Thailand’s premier resorts. 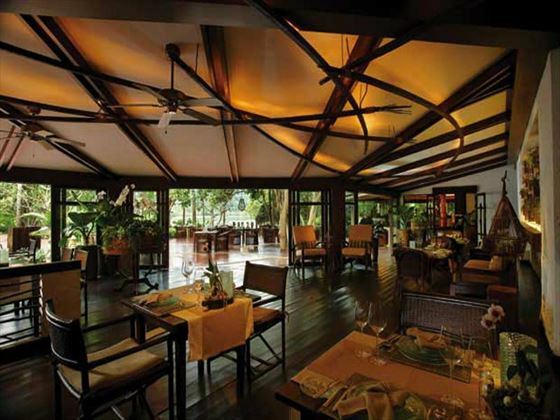 The villas are located in wonderful positions across the 26 acres of stunning tropical gardens that make up the resort. 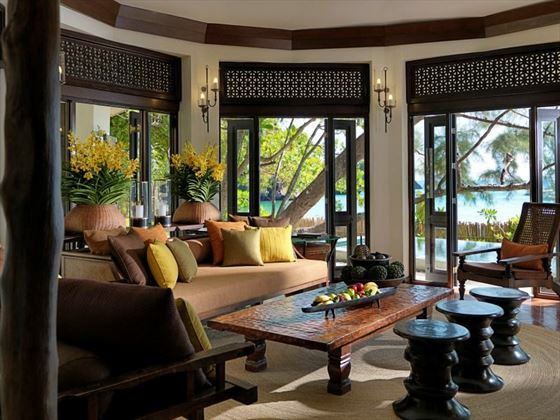 You’ll have access to all the great facilities of the resort but also the comfort of the exclusive villa to return to and relax. 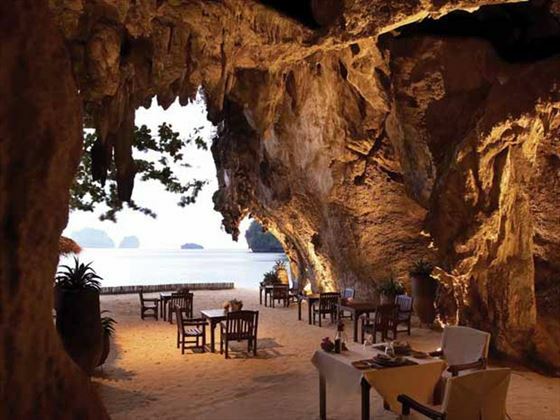 Enjoying a prime location on one of Krabi’s most stunning beaches, the Rayavadee resort is truly jaw-dropping. 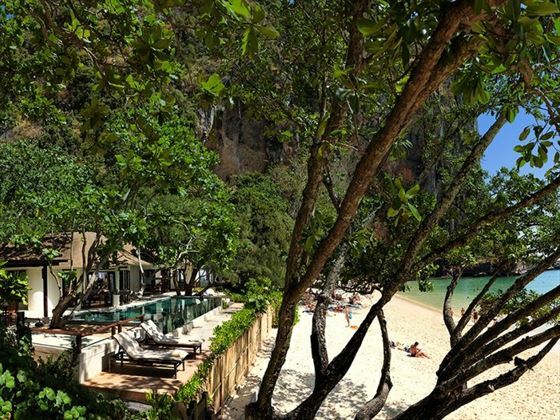 The Private Villas make up a small part of the resort with three overlooking Phranang Beach and the other based on Railay Beach. 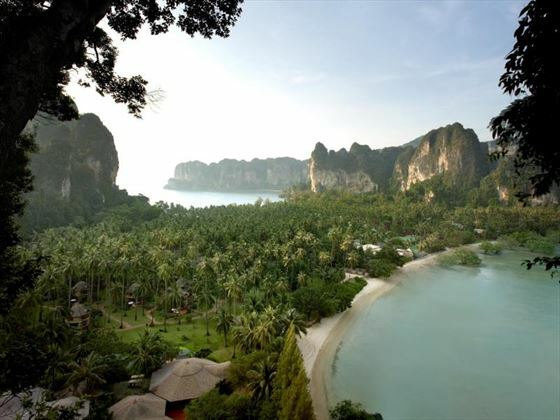 This villa enjoys a secluded location directly on the stunning Railay Beach overlooking the pretty Andaman Sea. 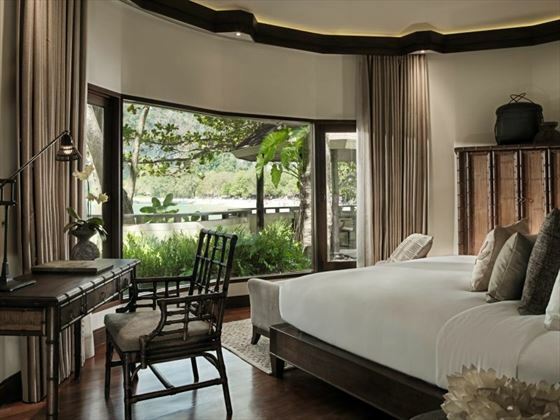 It features two en-suite bedrooms, one with a king-size bed the other with twin beds. There is also a living room, a dining room and kitchenette as well as an outside deck with hydro pool. 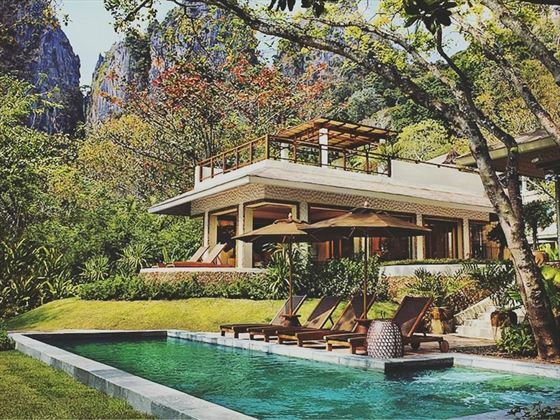 With views of Phranang Beach and a fantastic free-form swimming pool with a built-in Jacuzzi, the Rayavadee Villa offers exclusive luxury. 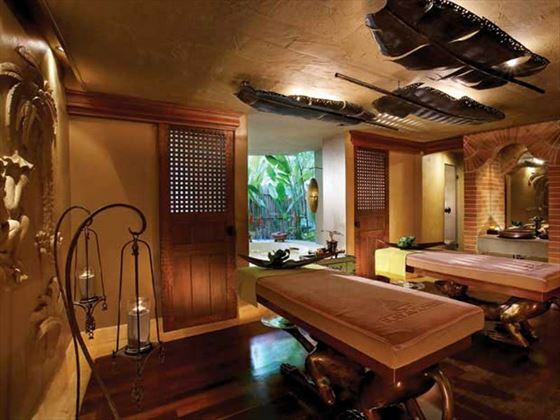 There are two large adjoined bedrooms both en-suite, one with a king-size bed, the other with twin beds. 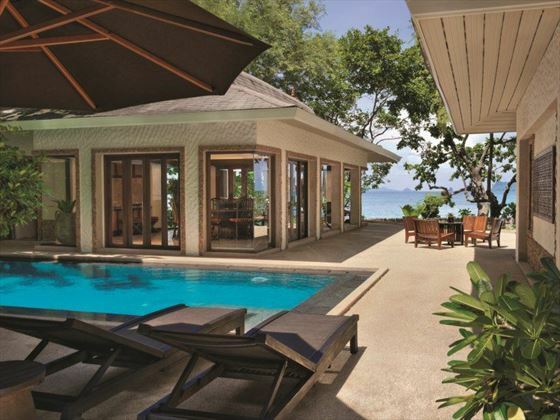 The villa also features a living room and kitchenette as well as a pool-side dining area and private sauna. 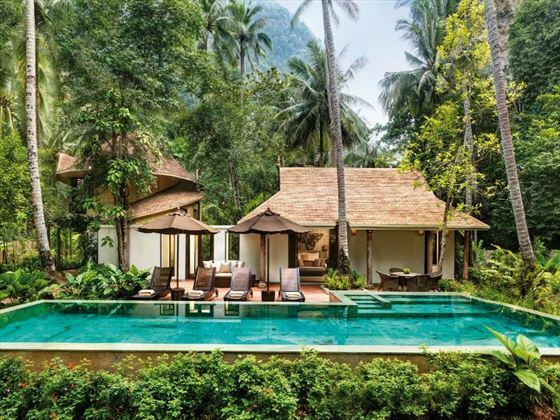 These three bedroom villas both overlook the stunning Phranang Beach. 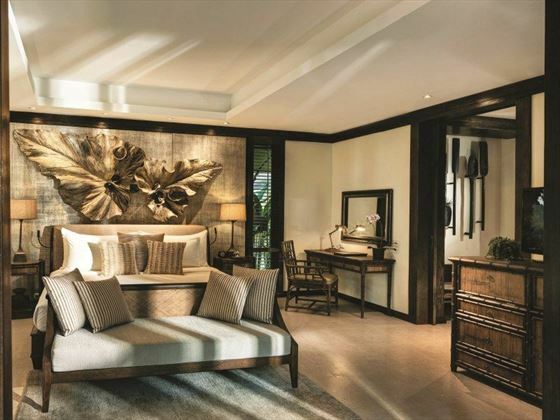 Each contains a master bedroom as en-suite bathroom, and two additional bedrooms with en-suite bathrooms. 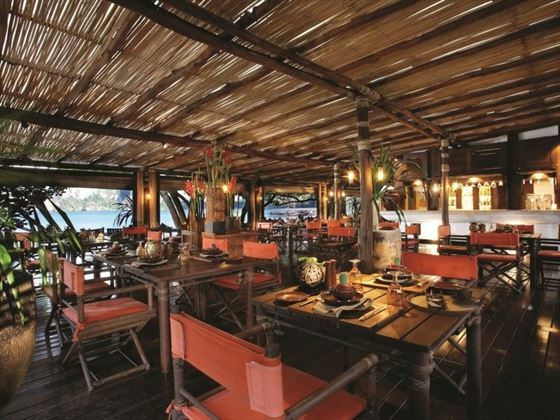 There is a spacious living and dining area. 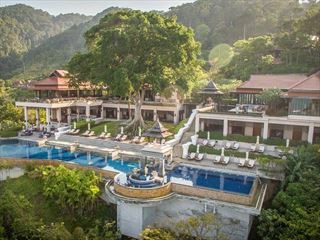 Free Nights Travel before 30 Jun '19 and receive up to 5 nights free, saving up to $6500 per villa! 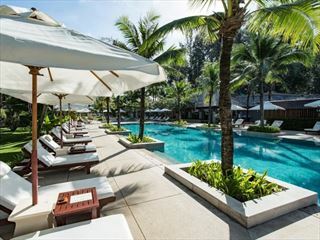 Free nights included in advertised prices.